Update: Don't fall for the "New colors for WhatsApp"
The more popular something is, the more people will somehow try and make money with - and off it. Since its initial release in 2009, WhatsApp has undergone a meteoric growth in popularity. With over 1.2 billion active users, WhatsApp has actually become the second largest social network in the world. As a result, it has also attracted a lot of scammers. Update: The newest scam making the round is a chain mail and fake website offering "new colors for WhatsApp". It shouldn't come as a big surprise that scammers have started targeting potential victims via social networks and messaging apps. Scammers evolve with technology, so it's only logical that they will pursue new kinds of phishing attacks or money order scams via the popular chat app, rather than just sticking to the old "Nigerian prince" email scam. Plenty of people still fall victim to email scams - it's reported that email scammers have made over $2.3 Billion between 2012 and 2015. It's also not too difficult to see why an increasing number of people are falling victim to WhatsApp scams. WhatsApp is incredibly easy to use, it's so simple even your grandmother probably knows how to use it - and that's precisely the point. Because WhatsApp is accessible to such a wide range of people, not everyone will be able to determine whether that invite to WhatsApp Gold is just a scam - and I dread to think of exactly how many people actually did fall for one of the myriad of "WhatsApp will cease to be free" scams. It would be a mistake to just assume old people don't know how to use technology; anyone can become a victim. All it takes is just a single moment of doubt about whether what you're reading could actually be true. We've compiled a list of known WhatsApp scams so you know what to look out for in the future. A new WhatsApp chain letter has been making the rounds promising unsuspecting users with "New colors for WhatsApp". The vigilant Reddit user u/yuexist spotted the website and documented it before it went offline. The messages will redirect users to the semi-suspicious url "шһатѕарр.com", which has craftily switched out the w and T with a cyrillic letters. After clicking the link on the website, you'll be asked to verify your account by sharing the site with your friends. Your friends are then promptly spammed with a message saying "I love the new colors for whatsapp" along with the url of the scam site. After the verification, you'll be told that the colors are only accessible via desktop and then through a Chrome extension. The alarming thing is that you'll be lead to a real chrome extension that you can download. Thankfully google acted quickly and has already pulled the offending extension. It seems like the scam website has gone done as well - though it's only a matter of time before a similar one pops up again. How do you avoid the "new colors for WhatsApp" scam? As always it pays to be vigilant and have a closer look at the URLs of suspicious websites. If WhatsApp announces a new feature, you'll hear it directly from the official WhatsApp website. WhatsApp also wont ask you to install a chrome extension. Arguably one of the oldest WhatsApp scams, this malware based attack first rose to prominence in 2013. With more people using the WhatsApp calling feature, it looks as though this scam is making the rounds once again in 2017. The principle is remains virtually unchanged from the initial voice mail scam we saw in 2015. It starts off with the user receiving an email from WhatsApp with the subject line 'Missed Call'. The email only contains the message 'New Voice Message' along with a play button so you can listen to the so called message. If you do press play, it will then trigger the download of a Trojan virus which locks you out of your computer and then demands a ransom to unlock it. If you open the email and click on the link from your smartphone, there is a high chance that your smartphone will be affected as well. An earlier version of the malware tricked Android users into downloading a file called ''Browser 6.5'' which then prompts the unsuspecting user to ''Agree'' which in turn starts sending text messages to premium phone number services. As if that wasn't bad enough, the malware will then try to trick you into downloading even more malware. How do you avoid the "new voice mail" scam on WhatsApp? It's (currently) not possible to leave voice mails on WhatsApp, so it's impossible for WhatsApp to send you either a message or email that you have received one. Also, the likelihood of WhatsApp sending you an email is zero - WhatsApp doesn't send emails. Another old favorite that's making the rounds again is the access code scam. The scam works as follows. The scammer triggers a new login to WhatsApp using the victim’s phone number. WhatsApp - as is their login procedure - will send the victim a SMS with the login verification code. The scammer then calls the victim claiming to be from WhatsApp requesting the code to ensure that the victim's WhatsApp is still working or something along those lines. The scammer then has full access to the WhatsApp account (and essentially locks out the victim of their account) and starts sending ransom requests to the victim's friends and family. How do you avoid the Access code scam? Unless you have triggered a new login verification, ignore the SMS. If you are unsure if you might have done it by accident, ignore it. WhatsApp will never call and ask for this code. Arguably one of the most enduring scams, this one has been around since launch of WhatsApp and somehow still makes the rounds every year with some new twist. Tragically enough, a similar scam periodically makes the rounds on WhatsApps owner - Facebook. Be honest, how often have you seen some acquaintance forward, share or like a post that mentioned in some form or another that Facebook was going to start charging. along with a link to a third party website. Depending on the scammer, the website will then ask you to add your personal information, or unknowingly sign you up to some paid service. How do you avoid the "WhatsApp wont be free anymore" scam? 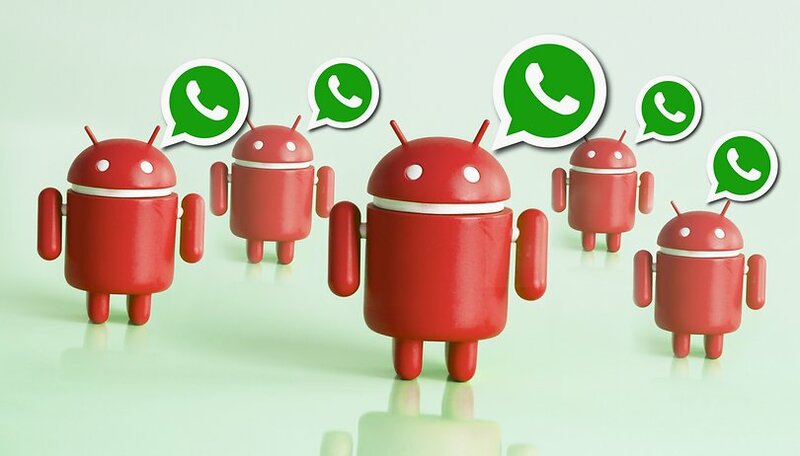 While WhatsApp did charge users for a subscription fee in the beginning, they officially announced in January 2016 that the service is free and they will no longer charge a subscription fee. WhatsApp is a free service. They will not charge you for it. Ignore messages from unknown numbers that ask you to confirm any personal data. When you first hear of this scam, someone you know has already fallen victim to it. A friend or acquaintance in your contact list was most likely unknowingly tricked into sharing a voucher scam. The message generally masquerades as voucher for a ridiculous high sum like $250 for a supermarket, (such as Wal-Mart, Sainsbury's or Lidl), Fast Food chain (Burger King or McDonalds) or online retailer like Amazon. The voucher scam then includes a link that you have to click, which either leads you to a malware install page or survey page which will help the scammers in their phishing attempts. The WhatsApp voucher scam also works similar to a chain letter, encouraging users to send the message on to multiple friends to either unlock the offer, or to get an even bigger discount. You need to employ a healthy dose of skepticism with these kind of scams. The fact that a friend or family member forwards you something like this often weighs you in a false sense of security. While you can assume that the majority of these kinds of offers are fake, you'll instantly be able to recognize that someone is trying to scam you when you land or a survey page or if you are being asked to download something. Thankfully, instances of chain mails and text messages asking you to install WhatsApp Gold have mostly died down. It not being available in the play store is also a very strong signal that you shouldn't install apps like this. With the introduction of the voice calling feature on WhatsApp, scammers immediately saw a window of opportunity. The scam seems pretty harmless: you get a message on WhatsApp from someone you know inviting you to try WhatsApp calls. But there's a catch. You have to visit a link that prompts you to wade through advertising while you invite another 10 friends with the same link. Not surprisingly, even if you invite 10 friends you still won't have calls enabled in WhatsApp. This scam thankfully died out with the official introduction of WhatsApp Calls. But with every rumored new feature that WhatsApp might introduce, scammers will seize the opportunity and try to trick you into downloading malware of forking out some cash. Its virtually the same story as the scam above. It was rumored that WhatsApp would release a video calling feature - much like Skype. The scammers adapted the voice calling scam and encouraged users to click a link in hopes of getting the new video calling feature. Just like the scam mentioned above, this one died out the minute the video calling feature was officially available. Quite possibly the most "harmless" of all the scams, this one is still unpleasant. Similar to the other scams, the message promises a whole host of new animated emojis, and provides a suspicious download link. When you click on the download link, you'll be asked to share the message to at least 10 contacts or 3 groups, ensuring that the "scareware" spreads. After 5 minutes, an alert appears on your screen stating that your browser is running out of memory and needs an update. Even if you ignore the warning, you'll be harassed by a steady stream of pop ups asking you to install a fix. The fix is actually a legitimate app called UC Browser app. According to Kaspersky Lab, despite the message not actually causing any further harm than the annoying pop-ups, it's still highly unethical to scare users (and harass) users to install a app. Similar to WhatsApp Gold, do not install apps outside of the play store if you are unsure what they actually do. Not every app that's available outside of the play store is infested with malware, but there are many which are. OMG! after reading this I realised that its better not to download any third party apps to enhance the beauty/performance of an app. This is all so true! Great article, I hope it gets as much coverage as possible, because all Watsapp users should be aware of these facts. Unfortunately, I have recently been one of the Watsapp Gold victims. Good thing I know how to restore my chat history, otherwise I would have lost so many important information!